In England it is tradition on your birthday to bring the cake or the cupcakes. So as my birthday approaches, Saturday, I thought I would make some special cupcakes. 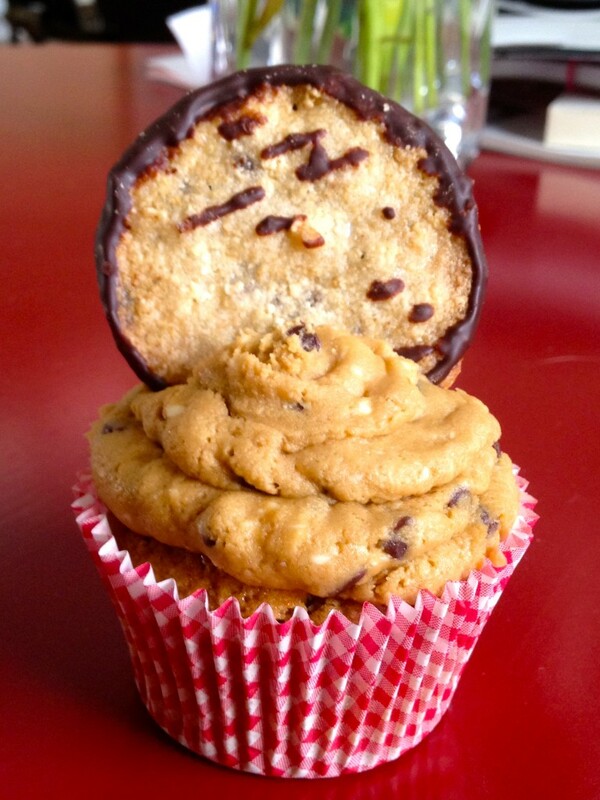 I am headed to San Sebastian, Spain for the weekend with a few friends and thought using the Bueno Bar in my cupcake would be a great idea. Since Nutella is one of my favorite things ever, what a better way to top my birthday cupcakes! In a mixing bowl, cream the butter and 1 Cup of sugar until light and fluffy about 3 Minutes. Add in the vanilla, once the vanilla is combined alternate with dry ingredients (Flour, Salt and Baking Soda) and the milk. In a Separate bowl, whip the egg whites, once foam forms slowly add in the remaining 1/2 Cup of sugar and continue mixing until peaks form. At this point fold in egg white mixture in 1/4 batches into the other batter. Prepare the Cupcake liners, place two pieces of the Bueno bar at the bottom of each liner and then spoon the batter on top. Bake for 20 minutes or until a tester comes out clean. Let cool completely before frosting. 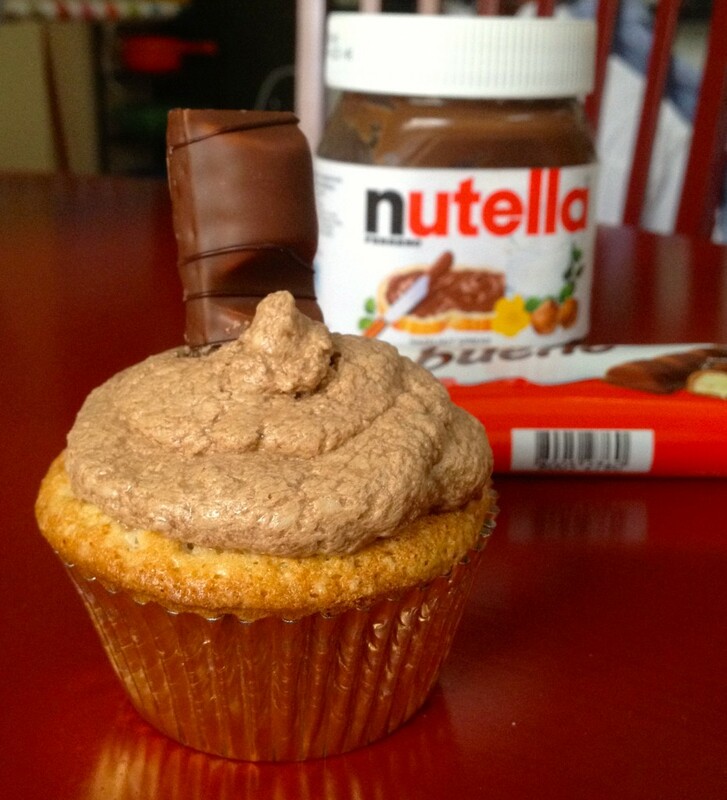 Top each cupcake with half of a Bueno Bar. Now these I am excited about! I make Neil rate my food when I make something new, just because I sometimes can’t taste things well when I have been working on something for a while. All the flavors start to blend together. I was shocked he gave them a 9+! I have never gotten a 10 out of him yet. He had one last night brought the rest of them into the office this morning and ate another one at 715 am. In a mixing bowl mix the butter and sugar together for 2-3 minutes until fluffy and add in the eggs and vanilla followed by the milk on slow. The sift in the flour and baking powder and mix until well combined. 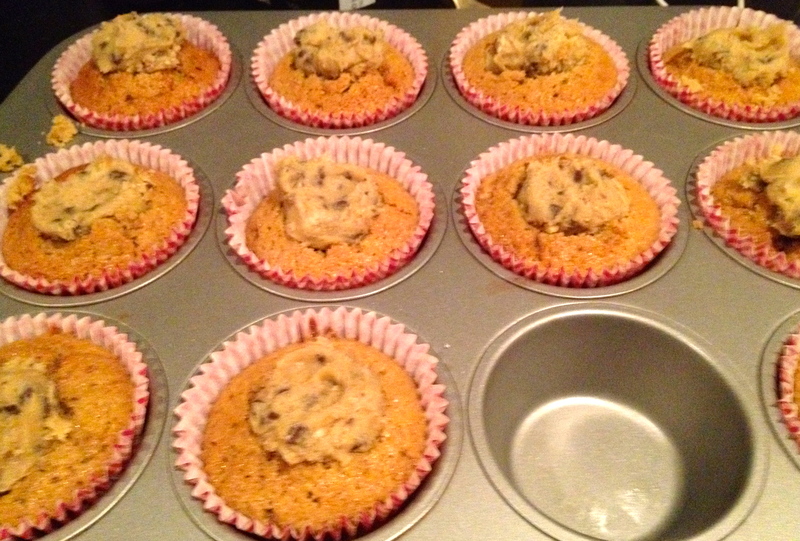 Evenly distribute among 12 cupcake wrappers in a muffin tin and bak for 18 minutes until a taster comes out clean. In a mixing bowl mix the butter and sugars together and add the milk and vanilla. Mix until combined and then mix in the flour. When well combined slowly mix in the chocolate chips.